Millstone Township, New Jersey – August 12, 2015 – A swimming pool is a great source of family fun and fitness. But it’s most important to make safety a priority to protect children and others in and around the water. SwimMor knows pools and they are committed to educating their customers on pool safety. 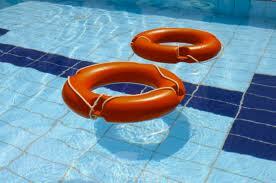 Pool safety is easy when following the simple steps laid out by your local Health Department. Constant supervision is an important step to ensuring safety. Summer is the time of year for fun cookouts and pool parties. Have you ever had plans to throw a huge pool party only to wake up that morning to a green murky pool? This is a very common problem in the hot summer months since the heat and sunlight create prime conditions for algae to rear its ugly head. Algae can form quickly overnight spoiling your plans leaving you roasting in the sun without relief!